Head to The Copper Box Arena in Queen Elizabeth Olympic Park this May to see the world’s most prestigious skateboarding competition, Street League Skateboarding (SLS), as the countdown to the sport's historic debut at the Tokyo 2020 Olympics continues. The Street League Skateboarding World Tour returns to The Copper Box Arena, Queen Elizabeth Olympic Park following the success of the inaugural event in 2018. Enjoy the opportunity to see some of the world’s best skaters battle it out for pride and prizes in a custom-built concrete skate plaza, designed to inspire innovative tricks and take skateboarding to new heights. The competition features an exciting easy-to-follow format, anchored by instant scoring, resulting in down to the last trick “buzzer-beater” moments that appeal to both die-hard fans and new spectators. What is Street League Skateboarding? SLS began in 2010 and has taken street skateboarding from a collection of independent events to a celebrated global competition. The live events are hosted in world-class arenas around the world on custom-built, one-of-a-kind, SLS-certified plazas. 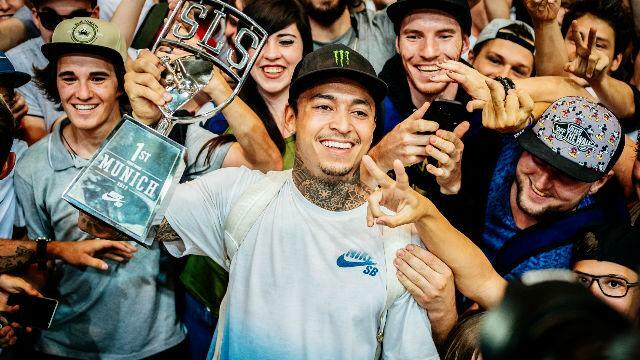 The World Skate/SLS World Tour is now the most esteemed competition in professional street skateboarding. Find out more about Street League Skateboarding.